There’s nothing 21st century about the YMCA’s Camp Widjiwagan. You can’t even rely on getting a simple snapchat. You eat in a dining hall without a single screen hanging from a wall. You hardly ever hear a beep. 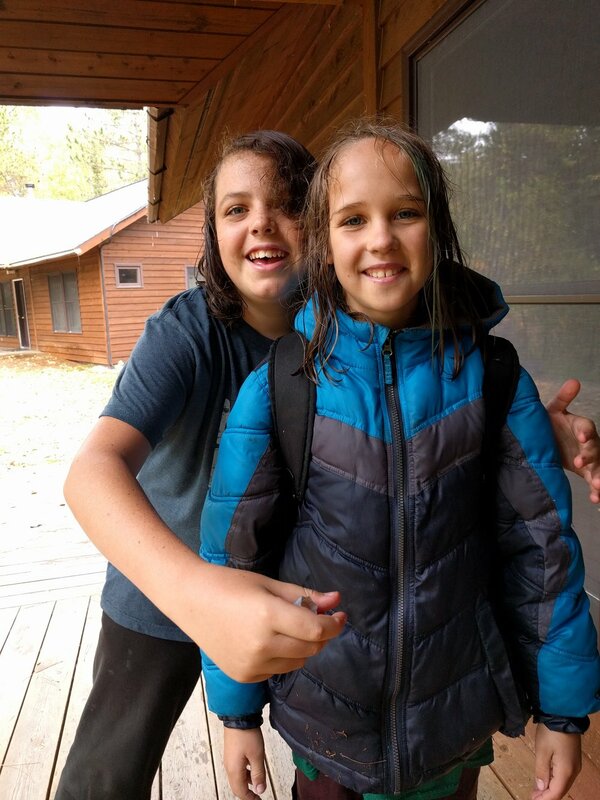 To experience Widji, as it is commonly known, is to step foot in the 1970s, when Montessori schools in Minnesota first started heading to Ely for a week of outdoor education (Okay true, we didn’t have Gore-tex back then. You get the point). 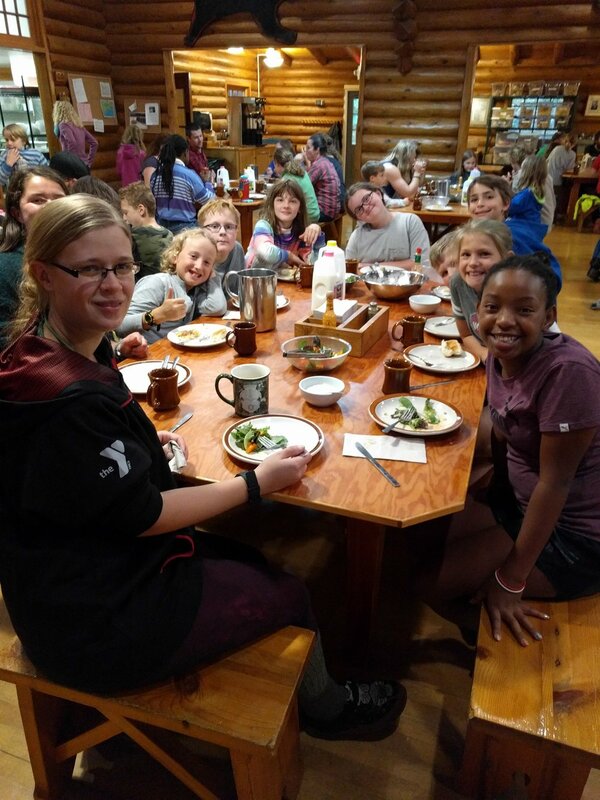 This was Great River’s fourth year at Camp Widji, the fourth year eating healthy, home-cooked meals in Kirby Hall and starting a fire in the woods and roasting marshmallows during Wilderness Survival class. A fourth year where getting wet is somehow something to be prized instead of avoided. Widji’s academic-year program, started in 1973, allows schools to send students to the camp for a week of environmental education, including studying wilderness survival, plant and tree identification, basic hiking and canoeing skills, and opportunities to read the night sky. More than anything, it allows urban/suburban children who are increasingly detached from the natural world a chance to play in it. At Widji you study nature, as in, you walk outside and there it is. And then you stay there for awhile. The Widji excursion is what Great River calls a “key experience” for elementary children. 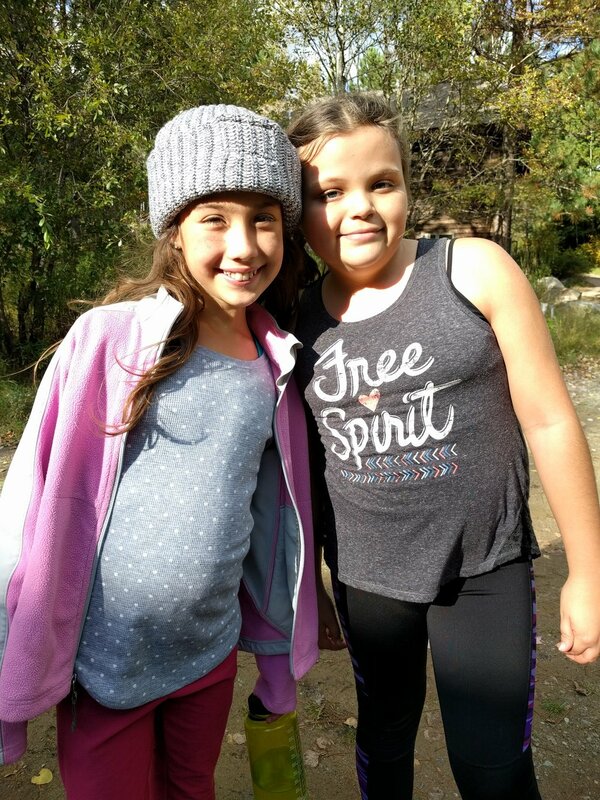 “It’s definitely a learning experience,” said Greta McCann (Grade 4). “We learn how not to disrespect nature.” Vivian Turbak (5) calls it “a camp where you do a lot of hiking… I’ve gone two years. Last year we didn’t jump in the lake with all your clothes on, but we did this year. My boots. My socks. My clothes.” Her trailing voice transmits some discomfort. Another perennial highlight is the mass role-playing game called Predator and Prey. Vivian describes it as “a game where voles try to hide from their predators. Weasels have to hide from their predators and catch their prey at the same time. Owls have to catch their prey and stay away from diseases. It’s fun,” she continued, “because I started a vole but I turned into a weasel. A weasel caught me, so technically I’d be dead. But in the game I turned into a weasel. I had to hide and chase.” In other words, if you are on one end of the food chain you only hunt. If you are on the other, you only escape. If you are in the middle, all bets are off. Vivian prefers being in the middle of the food chain. For Harper O’Dowd (5), the high-octane strategy game was also a highlight. As a vole this year, Harper enjoyed “amassing vole power.” He and his cadre of four-foot rodents could be heard chanting, “We will stand our ground” or “Chapel Point is our land.” We found that “if we all met at Chapel Point,” he said, we could “leverage” our strength “by spreading out in all directions and confuse the weasels and the owls. They only have 10 seconds to chase us, so we could separate them from their brains [the adult in their group].” This is what Great River rodentia refer to as “The Battle at Chapel Point.” I’m not simply reporting this. See the full Widji trip photo album here! This week many of our students are participating in Key Experiences. These experiences are designed to challenge students, take them out of their comfort zone, and to build community amongst students and faculty. Students at Great River report a deep connection to the community at the school. We intentionally engage in key experiential learning trips that take students out of their normal learning environment and out into new experiences in the world. We call these expeditions “Key Experiences”. The novel environment and shared sense of discovery among the group creates a key experience of shared vulnerability. This shared vulnerability of self, combined with responsibility for one another and the group, bonds the cohort of students together through overcoming shared challenges. Elementary trips include travel to farms and local sites for 1st-3rd grade, and overnight camping for 4th-6th grades. Junior high experiences include extended travel across the country, overnight trips, shared projects of producing a theater production, and essential work of running a real business (bike shop or cafe), as well as biking 100 miles together over the course of 4-5 days. The high school experiences travel overnight and focus on real agricultural work, visits to colleges and postsecondary options, and expeditionary trips focused on leadership. These experiences create a shared sense of responsibility for the group and the community and help to establish a strong foundation of interpersonal connection. Beyond the classroom, however, our key experience trips provide a model for experiential learning where students are engaged in field trips, real-world experiences, community service, internships with professional settings, expert mentor visits in a discipline of interest, and civic engagement while at the same time working to master state standards through their works. Rather than spending time addressing social-emotional growth and separate time mastering state academic standards, Great River School structures learning to accomplish both at the same time. These settings are an integrated part and anchor for curriculum. When a student is both in a real world setting and completing standard-aligned academic content, efficiency and multiple benefits are gained. 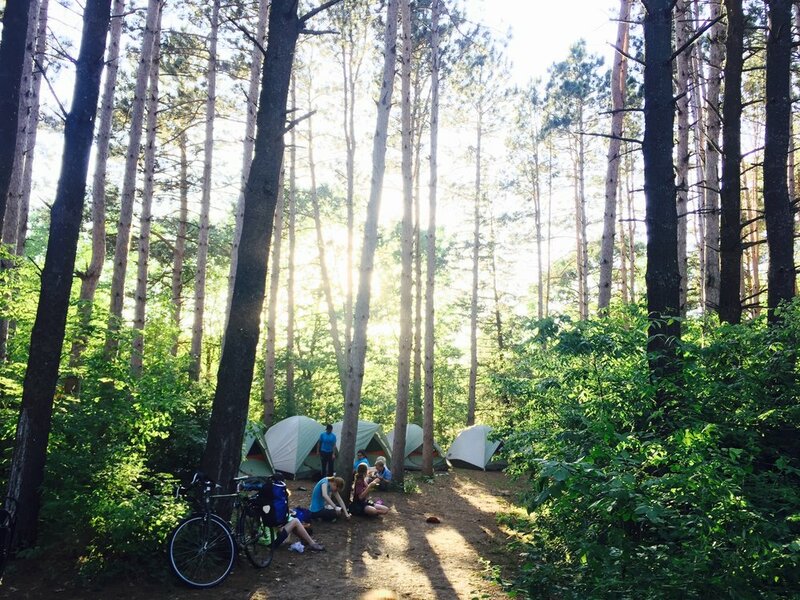 Our overnight trips, camping, and intensives which formally occupy two dedicated weeks per year, are landmarks of the real word experiences that we seek to integrate into our everyday learning. We can't wait to share pictures from the fall 2017 Key Experiences! Welcome Night brings families together! Close to 100 individuals (parents, grandparents, guardians, and siblings of incoming Great River students) attended the annual Welcome Night at Horton Park this past August 10th. Everyone who attended had a color-coded name tag based on their grade level, which made it easier to identify potential classmates. While parents and guardians interacted with each other, students could be seen climbing trees or playing a variety of games provided by the Parent Engagement Group (PEG). Pickle Ball was a crowd favorite, with the final game ending just after 8:15pm. Midway through the event, David Martinez, PEG Chair, and Sam O’Brien, Head of School, welcomed everyone and encouraged attendees to get to know each other…..which they did! Overall, the event was a tremendous success and the entire PEG team was pleased to see so many new families in attendance. The rain showers just prior to the event had a few event organizers worried, but the sun made it’s way out just minutes prior to the start of Welcome Night. Volunteers Needed at Harvest Fest! See our Signup Genius page to view all opportunities! Harvest Fest is our annual family fall festival. This year it takes place on Saturday, October 7th from 2-5pm. 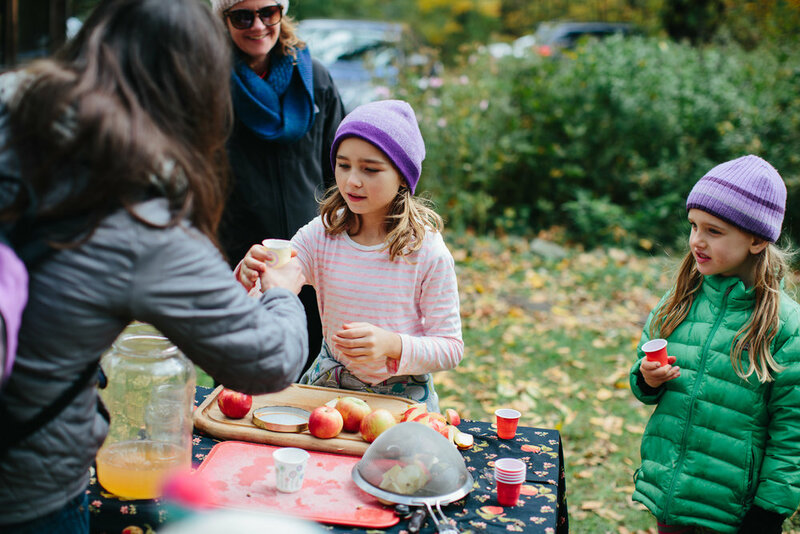 We serve "Stone Soup" where the broth is made by students, and you bring the ingredients! We need face painters, soup servers, bread bringers, and help with setup and takedown. Thanks in advance for helping to make Harvest Fest a success! The elementary community gathered together the morning of September 9th to transform the remodeled rooms into rich and layered Montessori environments. Over 60 Parent volunteers and more than 20 student volunteers contributed to a hugely successful day moving in all the Montessori materials and furniture. In just 60 hours, our first phase of remodel was transformed into 8 Montessori environments ready for Elementary back to school night! The Montessori environment is the primary tool for our educational program, and we cannot thank enough each person who came to lighten the burden on September 9th! This year is one of carefully planned growth for the elementary. In addition to welcoming new first and fourth year students to our community, the elementary program has added 7 experienced guides to the great river family, and 10 brilliant additional new staff to our program this year. We are so full of gratitude for the amazing attention, hard work, collaboration, and resourceful wisdom of our teachers, staff and supportive families and volunteers. This community truly is one that is built and grown renewed each year, as the seasons bring opportunities to build relationships with old friends, acquaintances and new people! Below are some resources regarding Montessori philosophy and practice for you to go deeper into understanding what lies just beneath the shelves of inviting sensory materials.